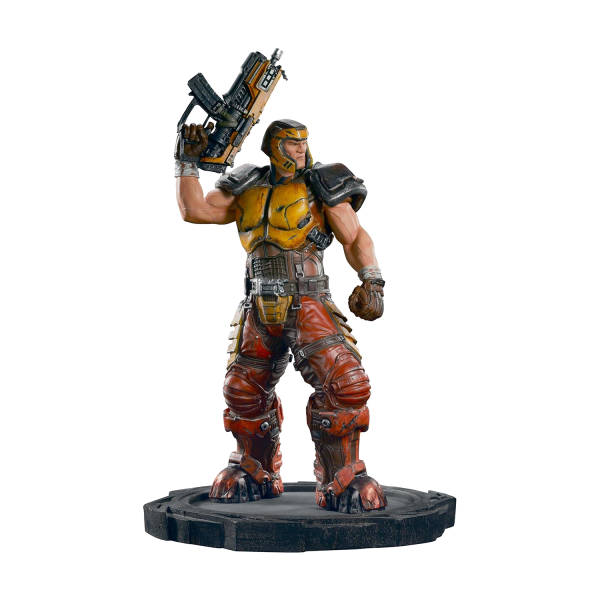 We don't know whether we should call it classic or modern, but what we do know is that Ranger from the Quake series has endured some hardships on his journey, fighting countless enemies and still standing tall. Gamingheads honors his efforts with this 1/4th scale, highly detailed collectible statue showing Ranger in his iconic yellow armor, posing with a machine gun and attitude. The statue is approximately 16" inches (40cm) tall and limited to 750 pieces worldwide. Manufactured by Gamingheads.